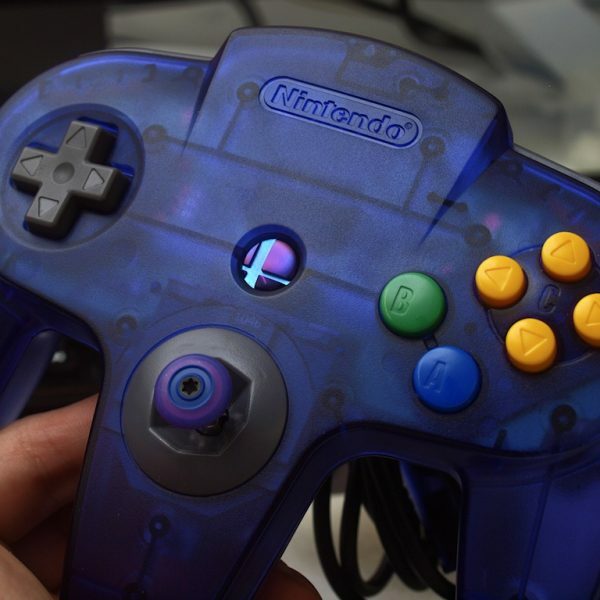 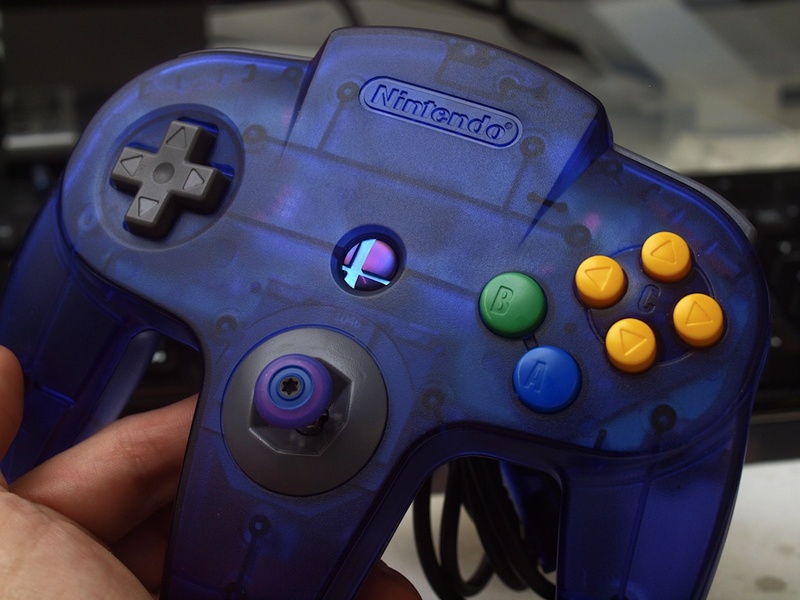 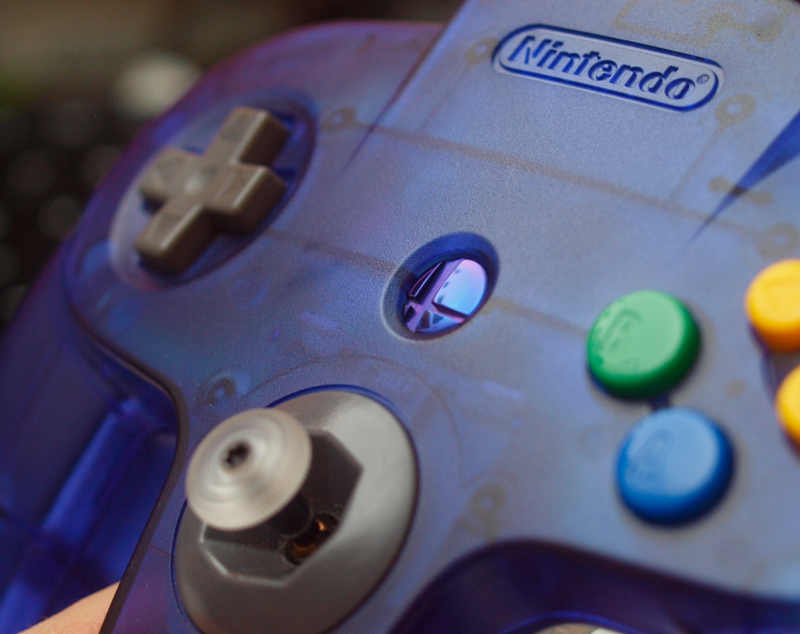 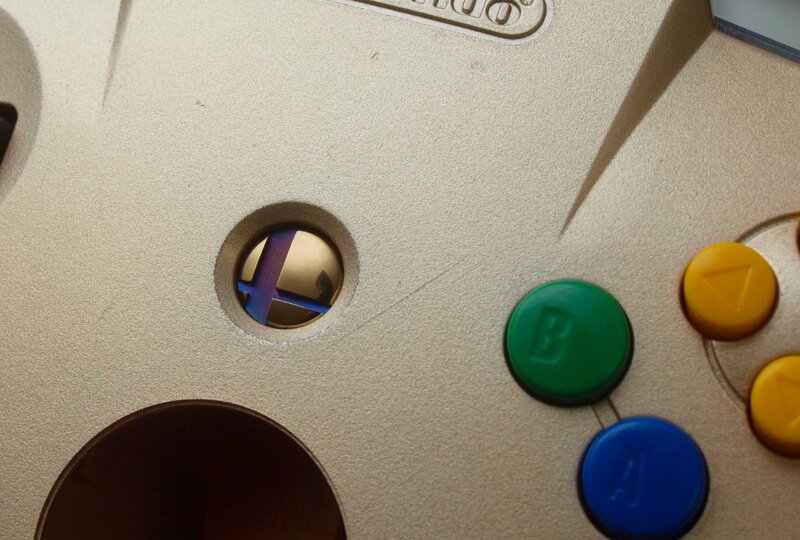 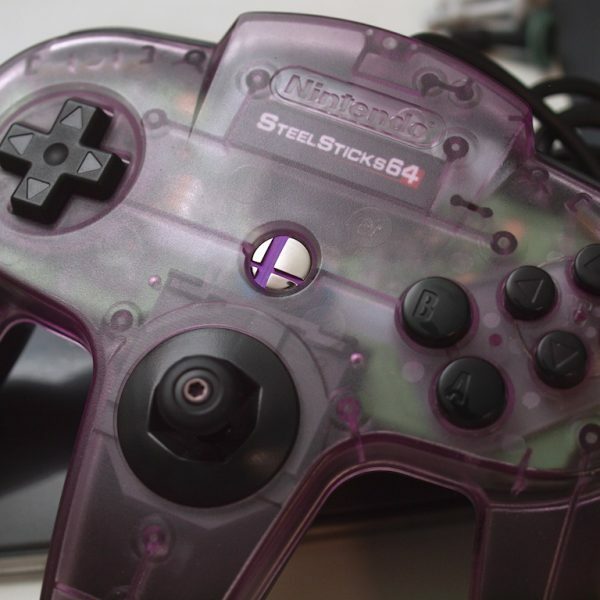 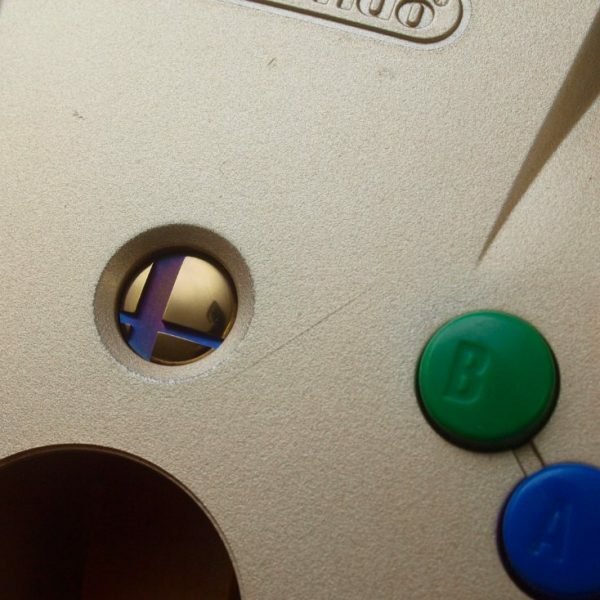 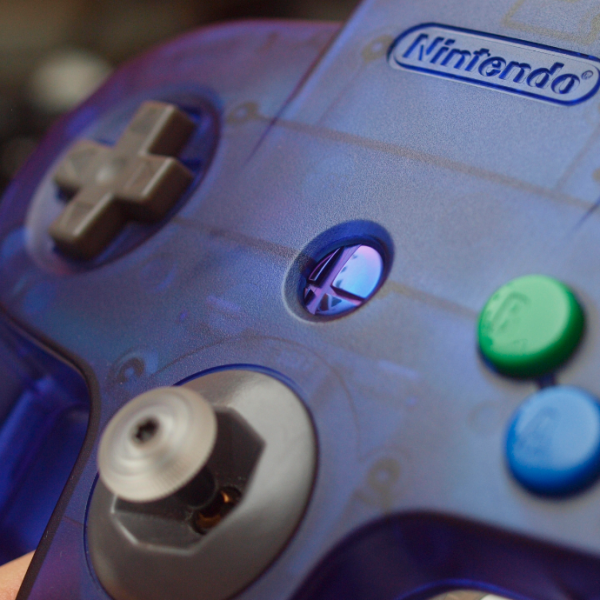 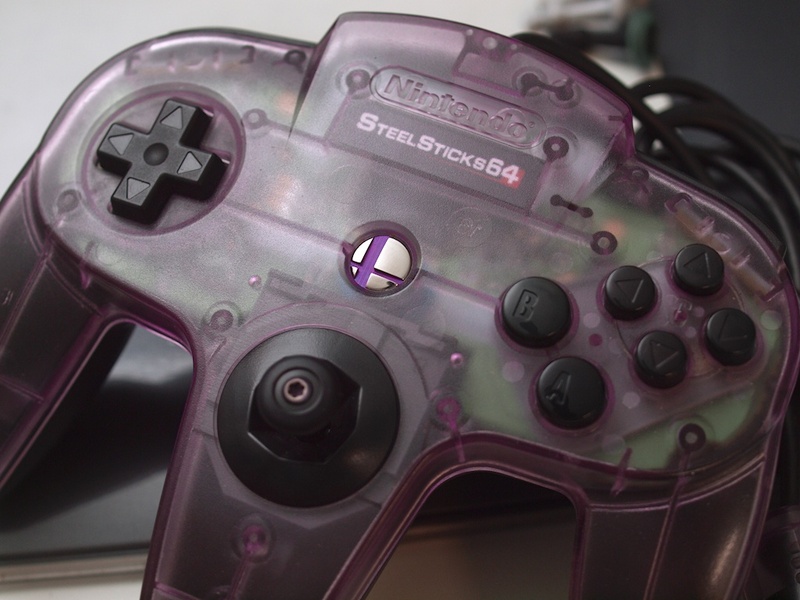 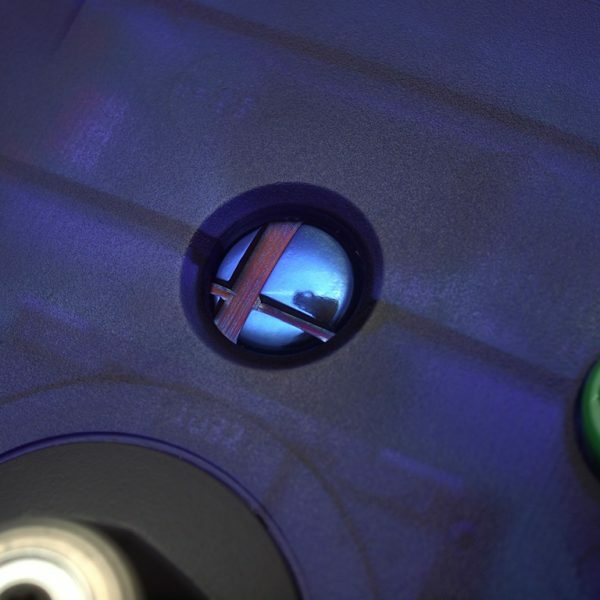 These are low-profile Titanium start buttons for the N64 controller. 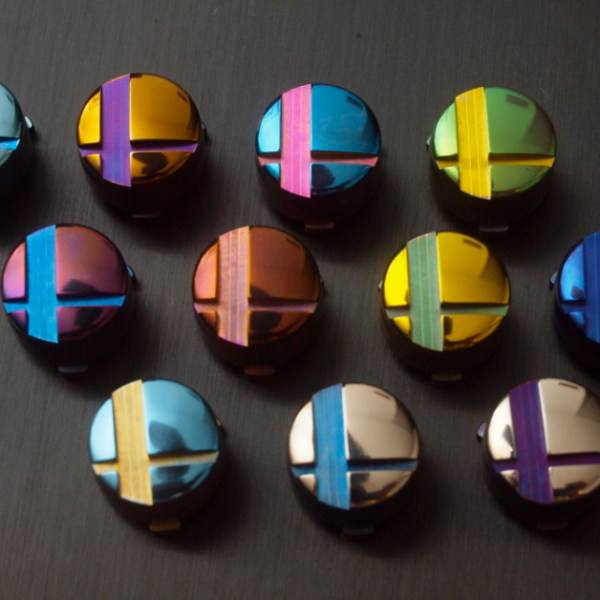 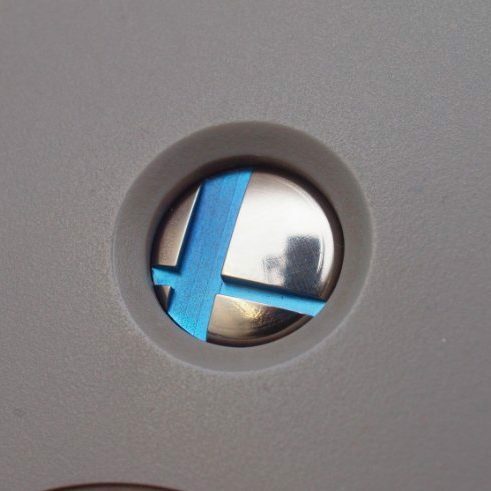 Intended for use by smash players, they are similar to the other low profile smash buttons I make except these ones are machined out of awesome Grade 5 Titanium alloy! 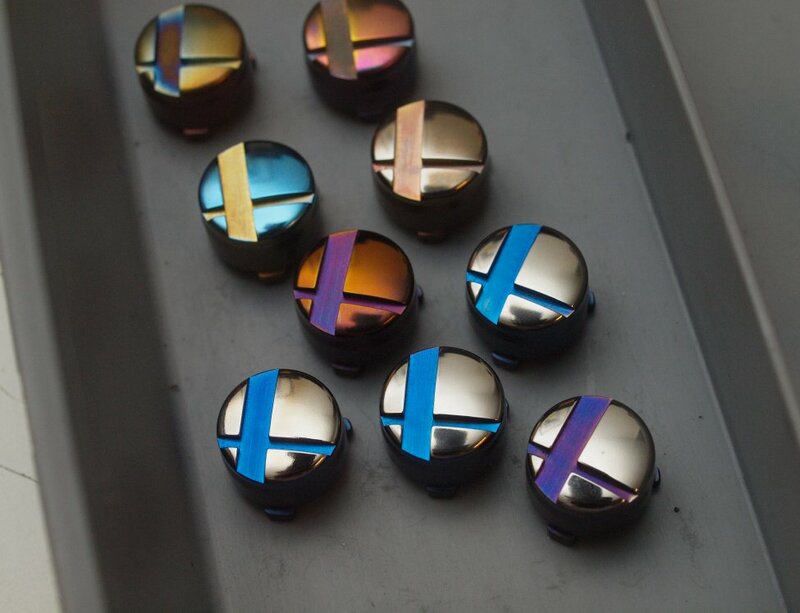 Individually machined and hand finished, the bright colours are achieved through etching and anodizing the metal with high voltage DC. 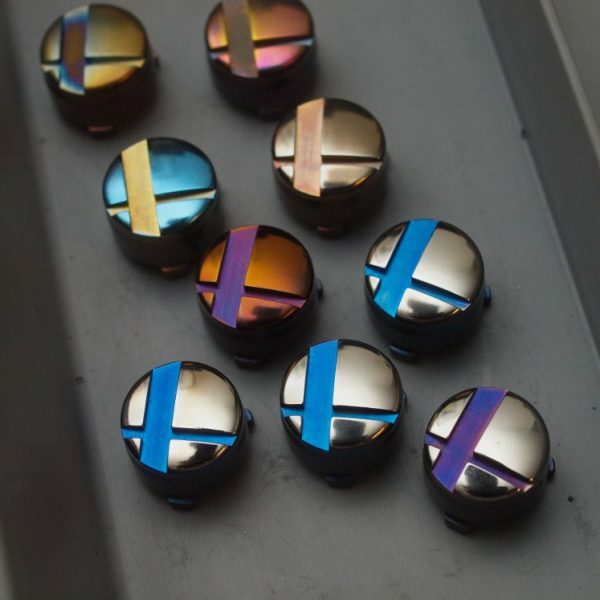 Multiple colours and many, many colour combinations can be achieved on the same part by selective polishing and then re-anodizing. 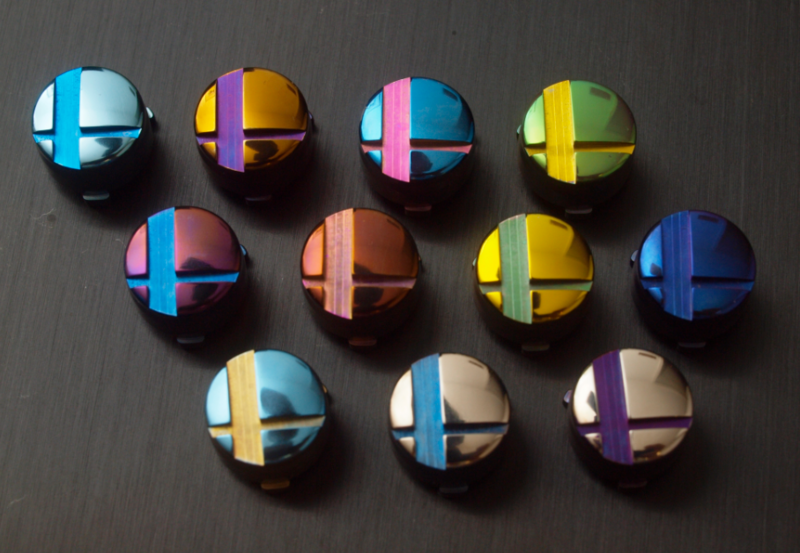 All colour combinations shown on the chart should be technically possible. 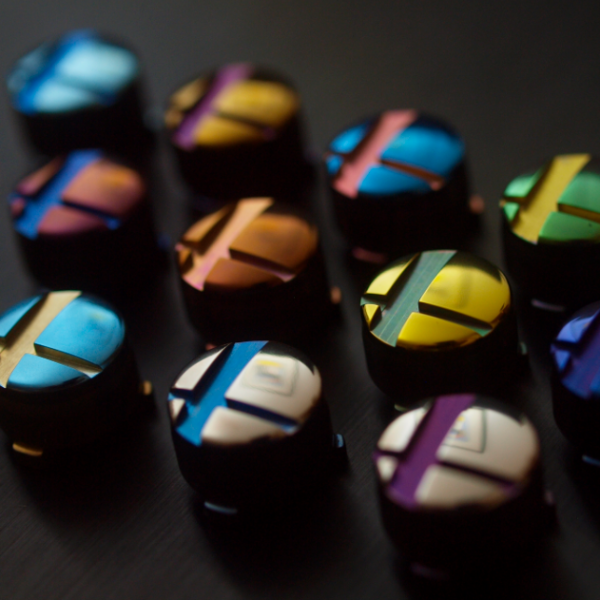 Just select your ideal colour scheme from there and I’ll do my best to achieve that look for you. 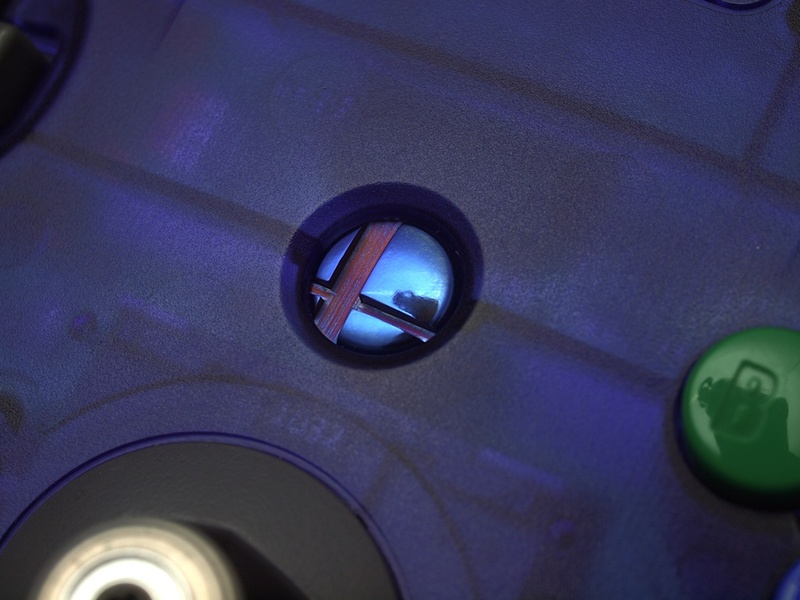 Please Note: “Logo Colour” and “Top Colour” labels are switched on the dropdown menus. 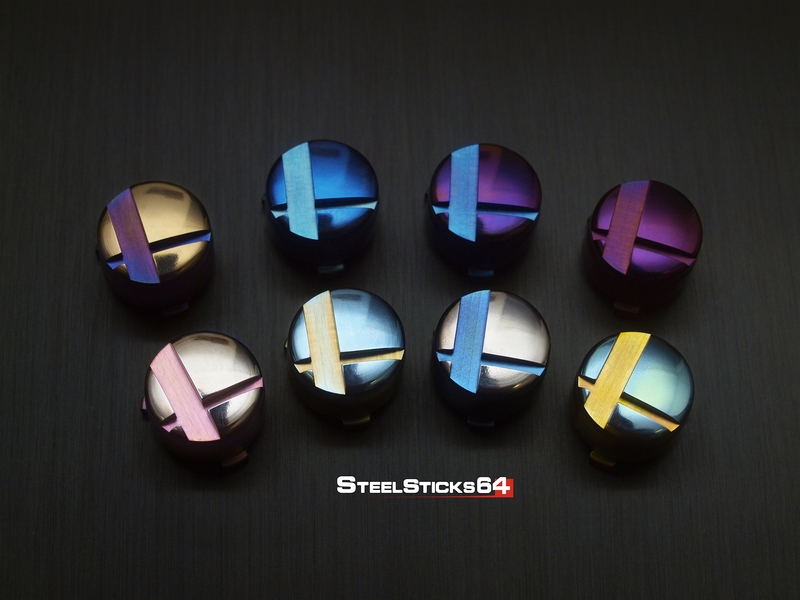 I’ve done my best to capture the anodized colours in the preview chart but there will undoubtedly be some slight variation when it comes to achieving these same colours on metal. 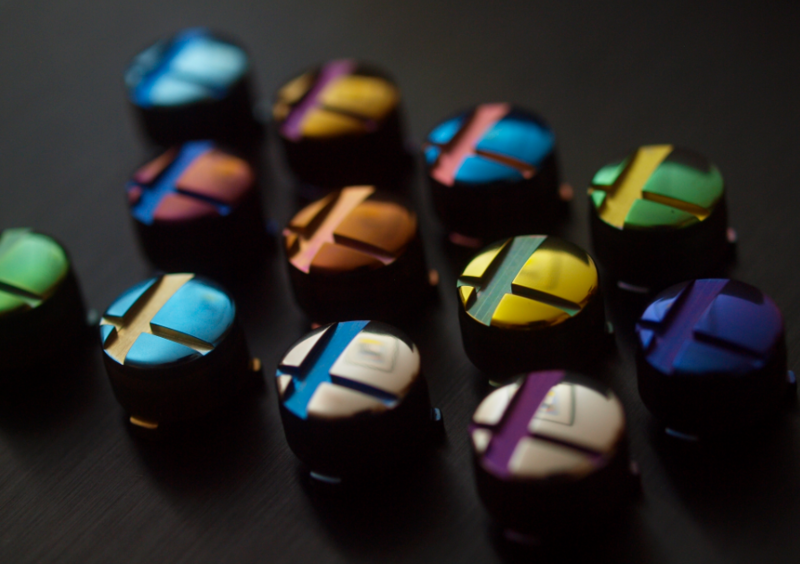 The anodizing is done to order so expect at least a week of delay before your customized button ships out. 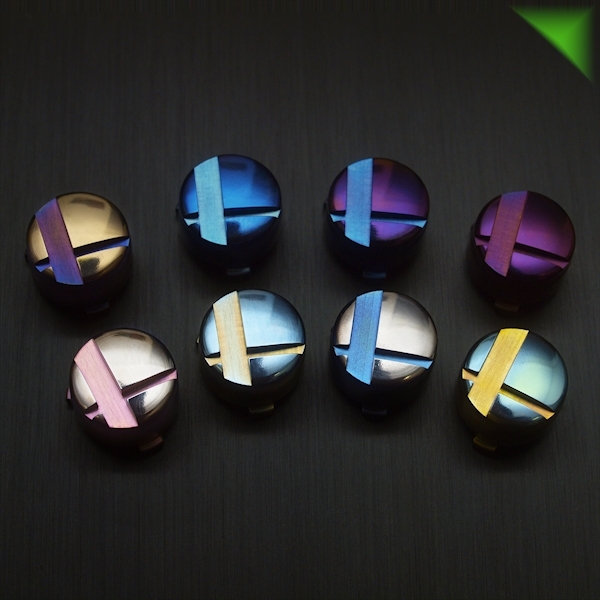 Due to the nature of the two step anodizing process, some colour combinations are more complicated to achieve that others, that is reflected in the price. 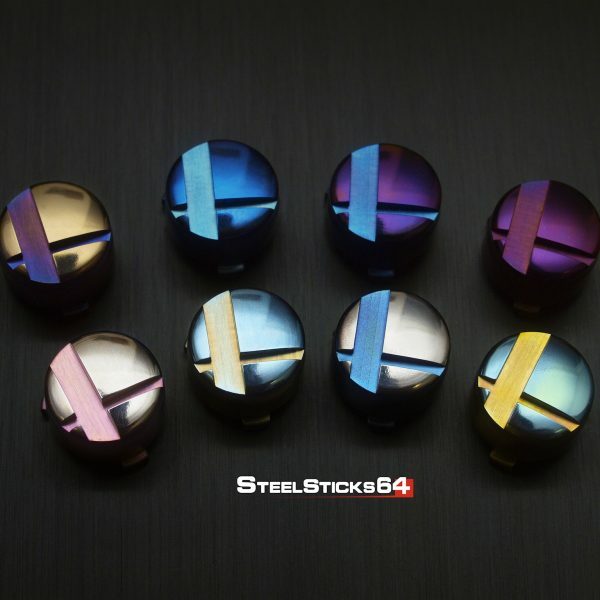 Consult the price chart and keep that in mind when making a selection.